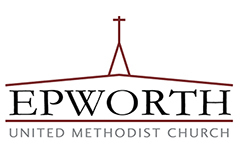 The Epworth UMC Endowment Fund was established by Resolution of the Board of Trustees in 1983 to provide for capital needs and for expanding the mission and ministry of the church. Epworth is a church of many ministries, serving many people and continuing to grow. Its growth needs in the years ahead can be more easily met with the aid of the income from a healthy endowment. Churches with significant endowments are able to achieve their goals with gradual increases in their operating budgets because their endowments provide the income to help satisfy expansion needs. To provide for capital improvements, additions, equipment and acquisitions of real estate. To provide a resource for expanding the missions and ministry of the church in the community and beyond. Use of the principal is restricted to ensure that the Fund becomes a significant factor in the financial foundation of the church. NO funds held in the Endowment can be used for current operating expenses. Donations which are not designated for specific purpose provide the greatest flexibility for achieving purposes of the Endowment. It is recognized that some donors might prefer to designate the use of their gifts, and the Endowment accommodates both designated and undesignated gifts. A donor can make a gift for a designated purpose with the approval of the Board of Trustees. The donor may specify that the gift and/or the income earned from it be used for the designated purpose. The Endowment is administered by a committee made up of the Chairpersons of Church Council, Trustees, and Finance Committees, along with four members of the congregation and the senior minister of the church as an ex-officio member. Gifts to the Epworth Endowment Fund assist Epworth in continuing to open new doors for spiritual growth to all the community. What better way could you take to remember God’s love and goodness than by being a part of Epworth’s future.